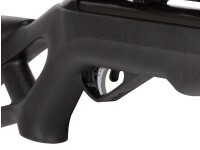 Gamo's SAT - Smooth Action Trigger - is designed for all shooting disciplines. 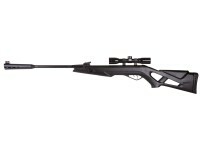 It features a smooth trigger pull that increases the shooter's rate of accuracy. NOTE: This gun features the SAT trigger though it does not have the letters SAT printed on it and the color of the trigger blade may vary from the images on this page. Click on the AMMO link for suggested pellets and the ACCESSORIES link for safety glasses, gun cases, targets, maintenance gear & more. Things I liked: Shoulders well and and is very accurate without the scope. Things I would have changed: I would sell with a better quality scope even if the price needed to change a little. What others should know: Other than the scope not holding zero the rifle shoots very well and is accurate with open sights. I will be looking for a better scope due to the fact my eyes aren't what they used to be. 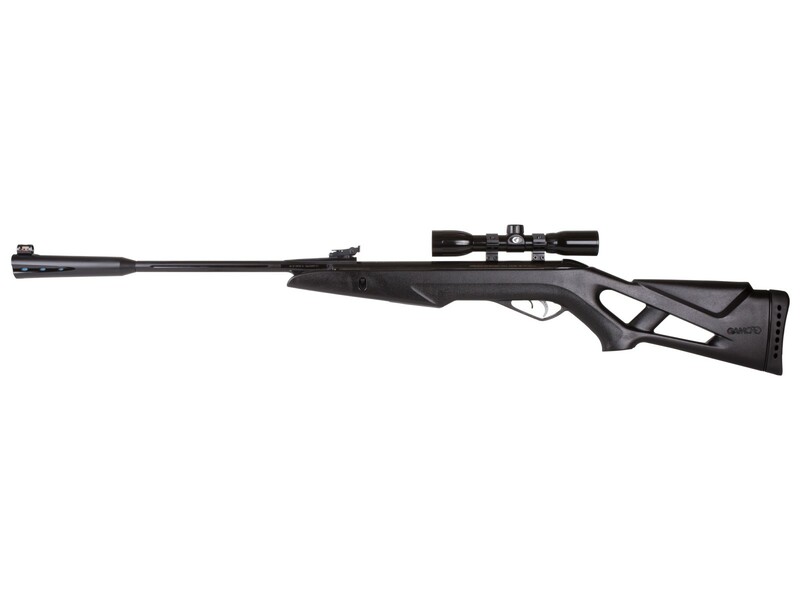 Things I liked: I like the way the Gamo silent cat looks and feels. It feels like I am holding a hunting rifle. 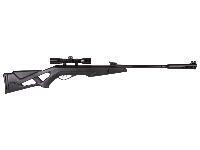 I particularly like the thumbhole and the nice fixed sights. I doubt I will ever use the rifle scope. I found it to shoot very accurately at 20 yards. I have enjoyed shooting this rifle off the back porch of my house in a neighborhood. The sound of the rifle has not bothered the neighbors in the least so the sound dampening qualities of the rifle or obviously quite good. 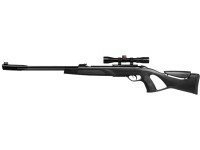 What others should know: For the price, this gun is an excellent entry level spring piston air rifle. 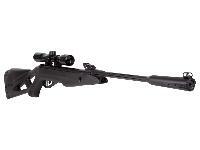 It is my first air rifle and I am pleased with the purchase. There are others I would have preferred but not at this price point. My other options were at least $100 more expensive. Is there a big difference between refurb and new? What do they usually refurbish? Typically it's just a power plant replacement or a scope replacement. accurately? 1-2" up to 40 yards. 1200 fps with PBA ammo, 1000 fps with lead pellets. 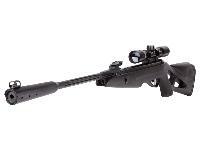 Includes 4x32 scope & rings.